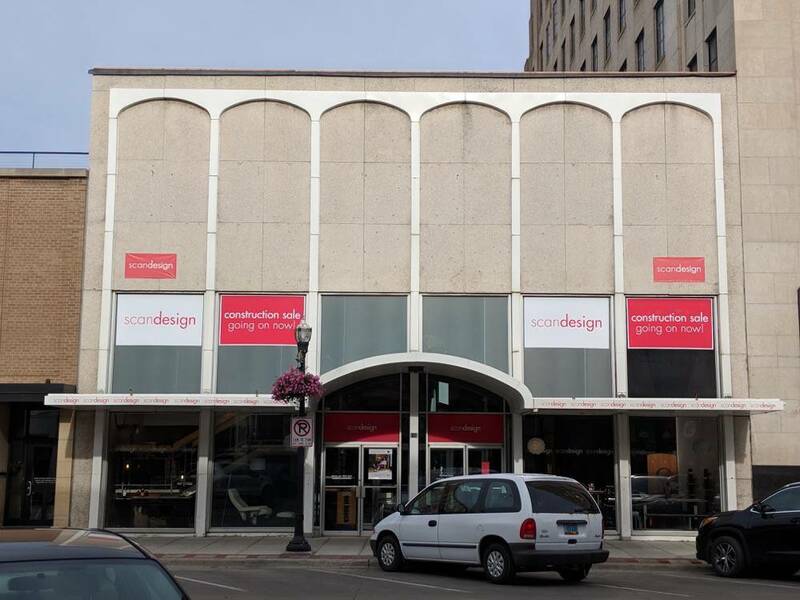 Downtown Fargo is 20 years into its renaissance. The project reveals this year make us feel like it’s just getting started. 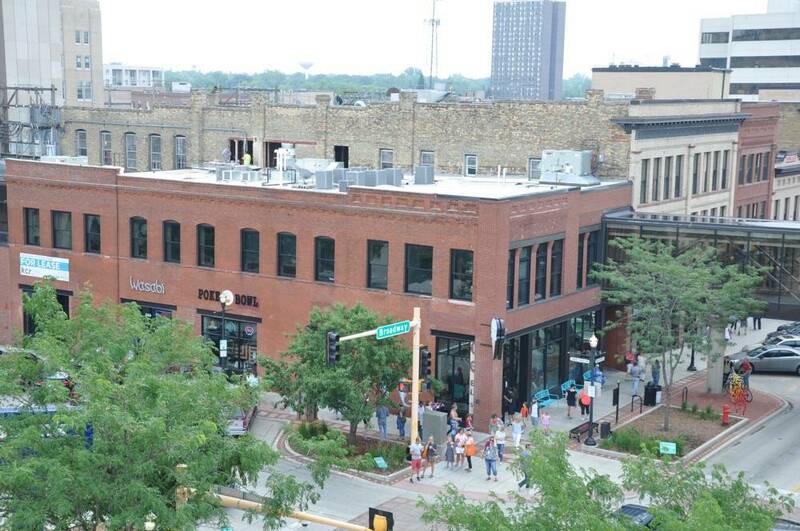 Downtown Fargo is 20 years into its renaissance as a vibrant neighborhood. It’s been 20 years of thoughtful, pedestrian-focused street design, economic development programs designed to pull private capital into downtown and neighbors taking the risk to make a go of their business dreams. 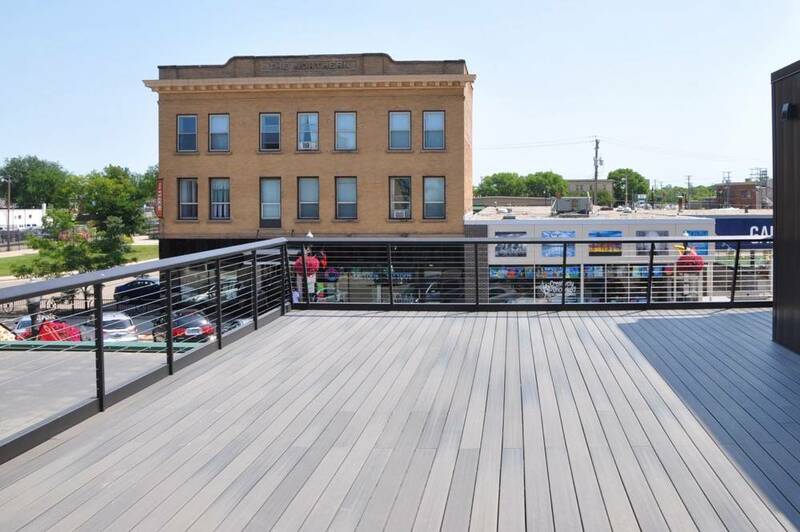 The project reveals so far this year make us feel Downtown Fargo is just getting started. Directly to the south of the Black Building sits an unassuming three-story building, which is home to Scandinavian furniture store scandesign. 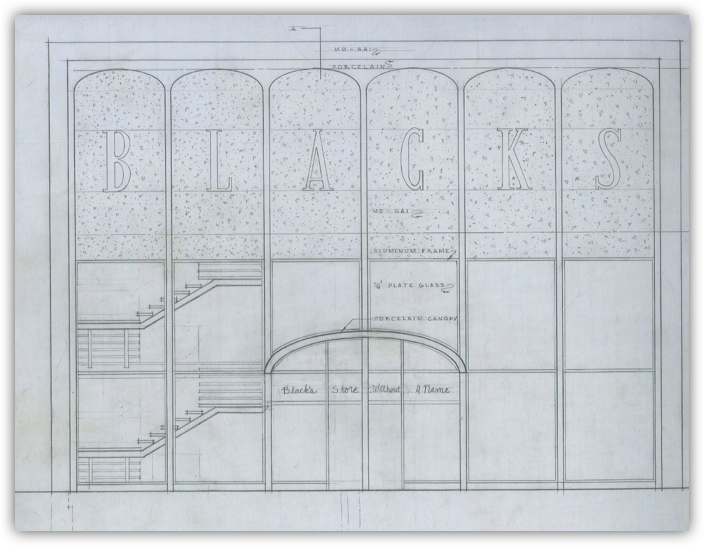 Originally built to house Black’s, a department store of George M. Black, who built the Black Building, it was designed with six tall concrete panels, which created a unique canvas for store signage. 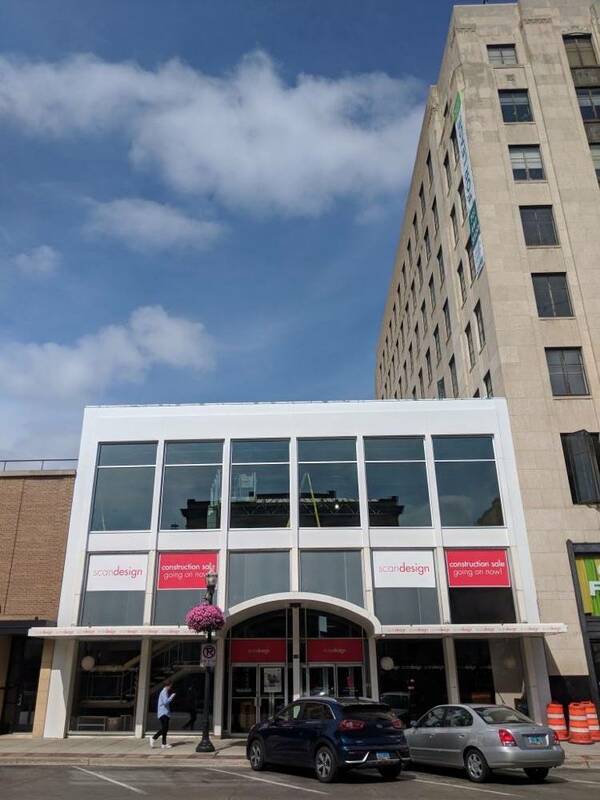 This summer, the precast concrete panels on the upper floor were removed and replaced with storefront glass, creating a beautiful volume of office space flooded with natural light. The east corner of 2nd Avenue North and Broadway also has a new look. The building at 123 Broadway is referred to by many as the Metro Drug building, after the business that occupied the entire first floor from 1982 to 2015. Best practices in urban design philosophy say that long expanses of blank wall, such as the north side of 123 Broadway before its redesign, are not as comfortable or interesting to walk along. People are drawn to building storefronts, comprised of large expanses of glass. The ability to see inside store and restaurants makes for a nicer experience for a passersby. 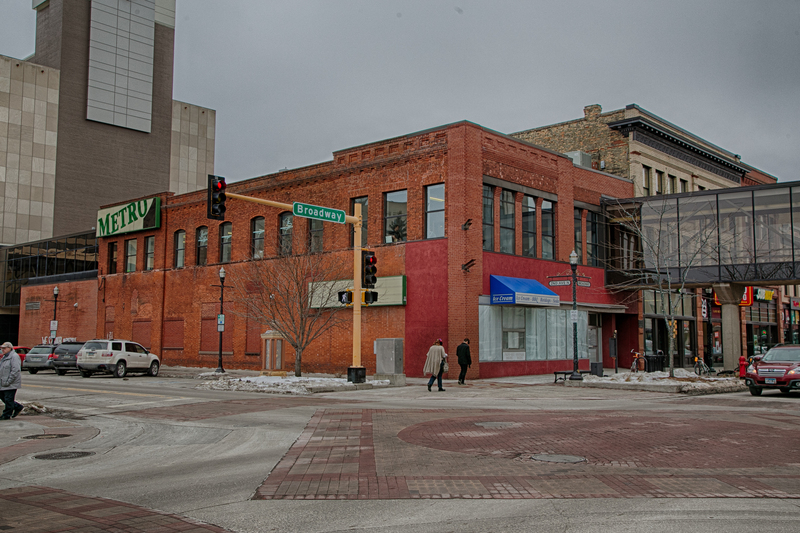 You’ll notice frequent entrances in Downtown Fargo because most buildings in the downtown are 25 feet wide. We strive to maintain this frequent rhythm of storefronts as the changing business type, window displays and activity creates a varied and interesting public realm and draws people into businesses and down the street. In following this philosophy, the main floor of 123 Broadway was subdivided, creating three smaller commercial spaces, each with their own front door. This summer, we’ve welcomed The Silver Lining Creamery to the corner space, and Wasabi and Poke Bowl to the center space. One space still awaits a new business to bring it to life. 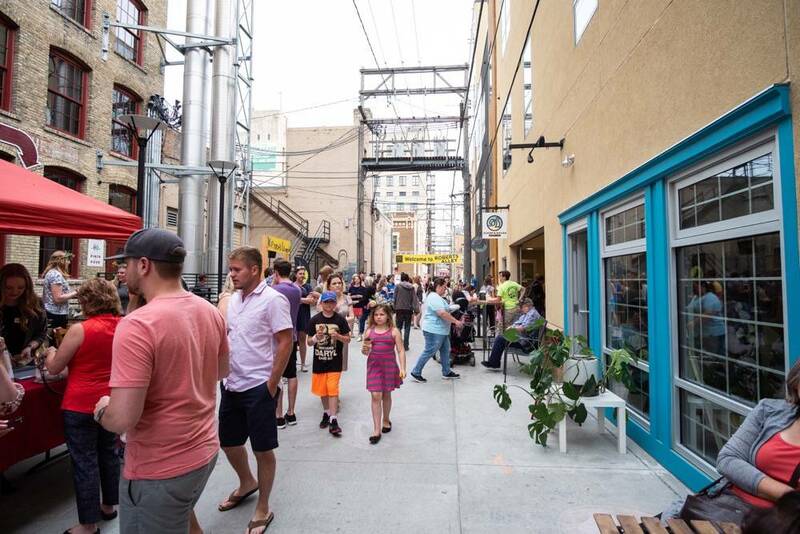 After years of building construction and alley reconstruction, the south half of Roberts Alley has reopened as a sweet little spot in downtown Fargo. 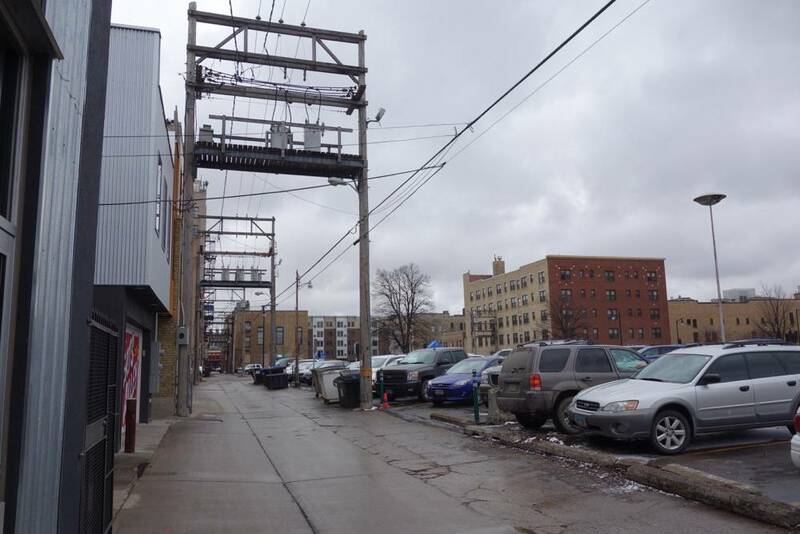 The alley still accommodates vehicles, but has become a natural gathering place for people on foot, making it safe to enjoy cookie dough without worrying about traffic. Just in this half block stretch, you can grab a treat, enjoy local fine art, eat, drink and shop. 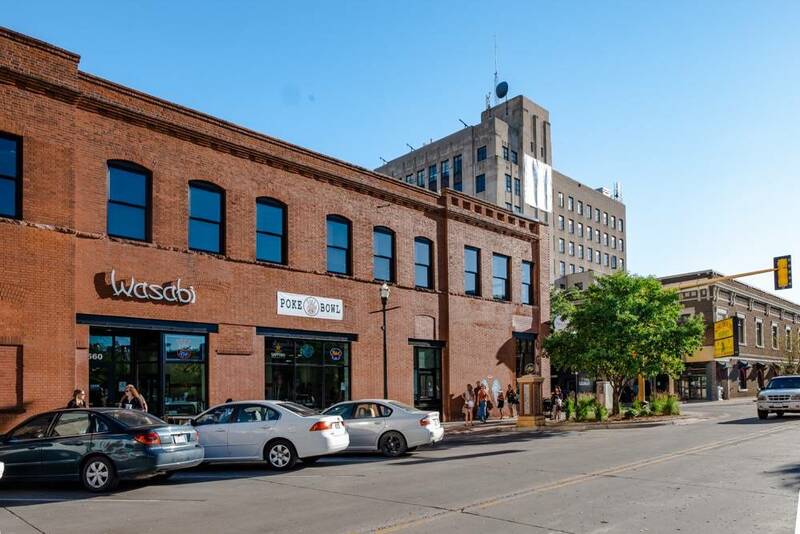 Over the course of two years, the surface lot at the corner of Roberts Street and 2nd Avenue North was transformed into a 455-stall city parking garage surrounded by apartments and retail, adding seven new businesses, with room for two more. In June 2018, the community celebrated the renewed Roberts Alley with the Right Up Your Alley Party, hosted by Radio FM Media. Hundreds of people enjoyed a brand new experience in downtown Fargo. 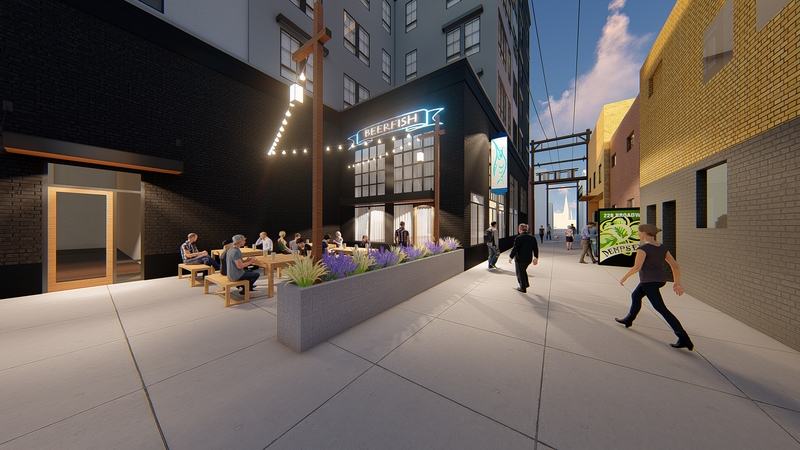 The north half of the alley is currently being reconstructed by the city and new space is being built for downtown’s first fish and chips shop, BeerFish. Another reveal we’re excited for? The new rooftop patio at Drunken Noodle’s new home in the 400 Block on Broadway. We can’t wait! Seeing these transformations embraced by the community, (and seeing all the kids coming downtown and having a great time! ), fills our team with gratitude. Thank you, Fargo!